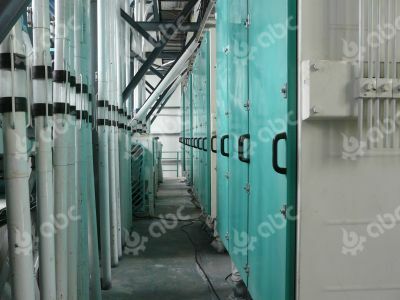 The 60-150ton/d wheat flour mill plant belongs to steel structure. It adopts high square plansifter, manual or pneumatic mill and purifier, and other high quality flour milling equipments with advanced milling technology. The steel structure wheat flour milling machine can save factory area, decrease workshop cost, and decrease construction period. This series wheat flour milling machine covers small area, has brief structure, and produces high grade wheat flour with high yield with low investment. 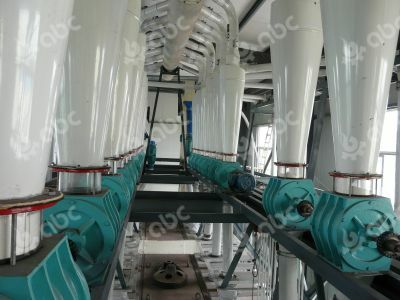 You will make profit with this series flour mill plant in a short period of time. This 60-150ton/d wheat flour mill plant can be used to produce 1st and 2nd Grade flour as well as special flour. Wheat cleaning part: 3 times of sieving, 2 times of threshing, 2 times of destoning, one time of wheat brushing, and 2 times of magnetic separation. It is mainly composed by raw wheat cleaning process and net grain cleaning process, which can fully guarantee the quality of wheat when feeding into the flour mill. 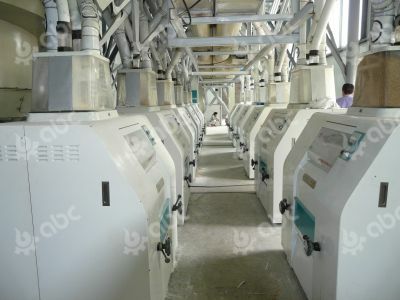 Flour milling part: this part adopts the milling technology of 4 bran milling, 6 core milling, 2 slag milling, 2 tail milling and 4 purifying, so that the wheat is lightly grinded and finely separated, wheat flour has high purity, and high grade flour has high output rate. It is widely used in small and middle scale wheat mills or farm in developing countries like in Africa. 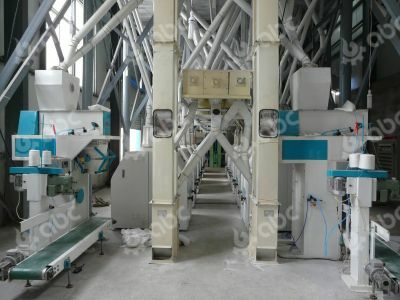 All the machines are assembled on a chassis in accordance with the wheat flour mill plant diagram. The compact design can save area and workshop building cost. It is a dust-free design with low power consumption. All the cleaning and milling flow sheet can be designed according to customer requirement, that’s why we can make Turnkey Project. The wheat silo and flour warehouse are excluded here. We will add it in your business plan.